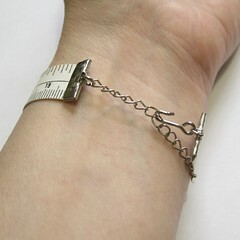 I’ve seen some cute measuring tape bracelets around the internet and have been wanting to make one for awhile. When I was cleaning out my craft room for the move, I discovered I had even bought the findings I needed, so I went ahead and whipped one up. When I say whipped one out, I mean it. This is a five minute project. 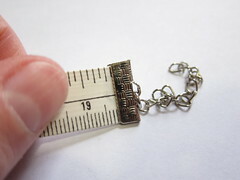 You can get measuring tape in lots different colors or look for cool vintage ones. These would make a cute gift for any sewer. 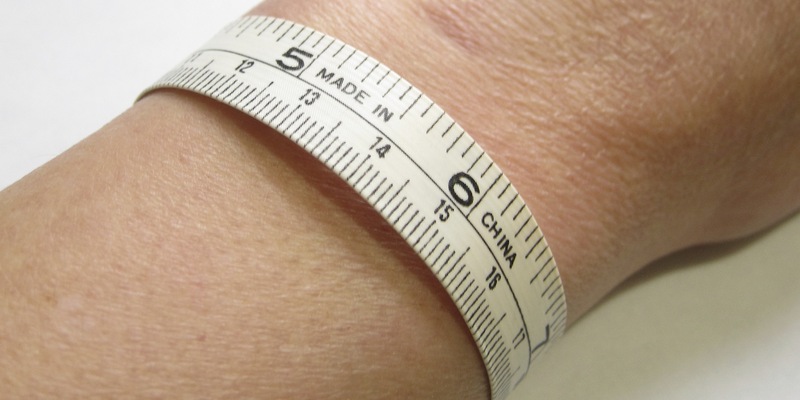 As a knitter, I think of it as a handy gauge measurer. 1. 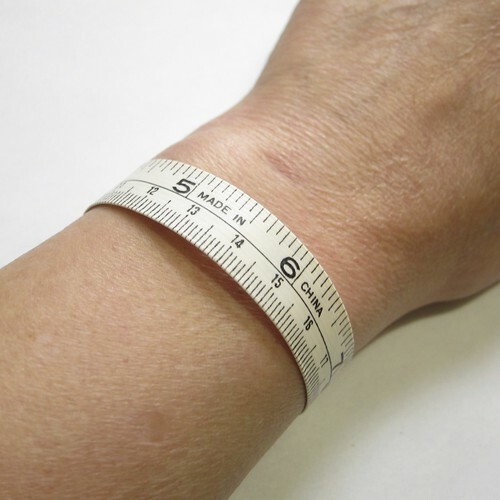 Measure your wrist where you want to wear the bracelet. 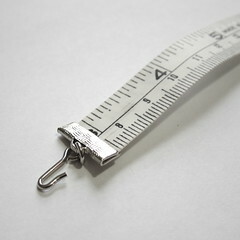 Cut the measuring tape to that length less the length of the hook to the chain on the ribbon crimp end. You can decide where on the chain you want to the hook to attach for that measurement. I could have cut my tape a little longer and attached the hook closer to the end of the chain. 2. Using the pliers, crimp the ribbon ends to either end of the measuring tape. Make sure to crimp very tightly so the ends don’t pull off. 3. Optional – Remove excess chain links with pliers. 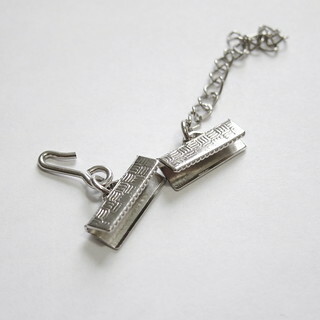 You want a a few links to hang off but if you have a thin wrist you may have a lot extra. Voila, a new bracelet that shows off your crafting pride!